Ryo Central: Do You Care About Twitter In-Stream Ads? 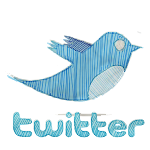 Do You Care About Twitter In-Stream Ads? Twitter is on the edge of making some changes regarding advertisement. Twitter is kind of successful, but didn't manage to really make money out of it. With a cooperation with Hoot Suite, they tested in-stream ads, and it seems very likely, that this is coming to all normal streams. And that means your stream, too. Some see a user revolt coming up, others feel safe to see Twitter making money. That will make it more likely, Twitter is around for more years. Having ads on your stream? Or can't you see it like this? It's not on your stream, but inserted in every stream on Twitter. No matter how you see it, you will receive ads. How do you see this? Do you care about those ads?